Rima Design | Rima Design - Where are we now with 'Short Form' video? Over recent times we’ve noticed a significant drive towards the use of short form video content – 20 seconds or less. (With 6 seconds now being widely used and classed as ‘Short Form’ video content). Driven equally by both the creative agency and the data savvy client. The speed of growth of Short Form video shows no signs of slowing down anytime soon. An obvious point, and one arguably the biggest catalyst for change. Consumers, with smartphone in hand, have so much information and content at their disposal, meaning they’ve had to cut down the amount of attention given to each piece – and can be far more picky with what they give their attention to. Linked to the above point. The newsfeed has become the main way in which users access information. We all know how this works – ‘The scroll’. We see something of interest, quickly give it more of our time, and then scroll on. Or more often than not – simply scroll straight on past it. The context of content, mean the newsfeed is ever squeezing the time for each piece of content to attract and get it’s message and purpose across. Younger audiences dive in and out of social media at numerous points throughout the day. They just want a quick snack, often to kill a bit of time or to procrastinate. Or, which the smarter brands recognise and react to (and what is deserving of a whole new post) ‘micro-moments’. This is when a user turns to their smartphone, to learn about something, discover something, or look to buy something. Creating short from videos that provide answers and value to the users who are in these micro-moments can be super powerful tools. 4. Data – Higher completion rates. It’s a bit of an obvious one, but shorter videos gives you a greater chance of people watching all of your video. This is because as video length increases, so does viewer drop-off. With higher completion rates, comes greater performance, and channels (i.e Facebook) see your video as something others want to watch – improving reach. Short form videos can simply be repurposed or edited down versions of longer videos. Equally, shorter videos could be shot on an iPhone, or other less elaborate video equipment. There’s just not enough time to convey a multitude of messages. Be clear on the purpose and objective of the video, and get this across with a key message. And not to forgot a call to action. Short form videos can be seen as a tool to use to get the viewer to then do something / go somewhere else – e.g landing page. Ideally, be clear with viewers what their next step is to continue engaging with you. Hashtags are a good tool to use to help with this. The first 3-5 seconds is critical. Creatively, this means that for short form video the core of your message needs to be early on in the first frames to earn and keep your customers attention. Then, if they do leave – they leave with the key takeaway. Most videos will autoplay with the sound off. With most users also having a preference to first watch a video in silence. Therefore ensure you’re video is just as effective with the sound off – as when it’s on. Overlaid text is an obvious, quick fix. Be creative with the frame of the video. Vertical framing gives you more real estate. And split framing, such as stacking, allows you to show more content. And to frame the narrative of the story in a more engaging way. To further enhance the need to not have to cram everything into one short form video – think of short form videos as just parts of the bigger story. Users with have multiple engagement points with short form videos over time, and so you can cleverly combine them to tell the larger story. This is an interesting one. Sometimes you don’t need to view the video as being the final perfect version of itself, and the thing to use to achieve your big campaign objectives. Instead, you can use a number of short form videos as ads to A/B test certain variables in your product, branding or messaging. This can provide useful information on what your customers like, and what they don’t. Allowing you to then build on certain areas to create even more effective short term videos, or giving you the confidence (through data and feedback) to invest in long form videos. We know that frequency of messaging is key in terms of building awareness. 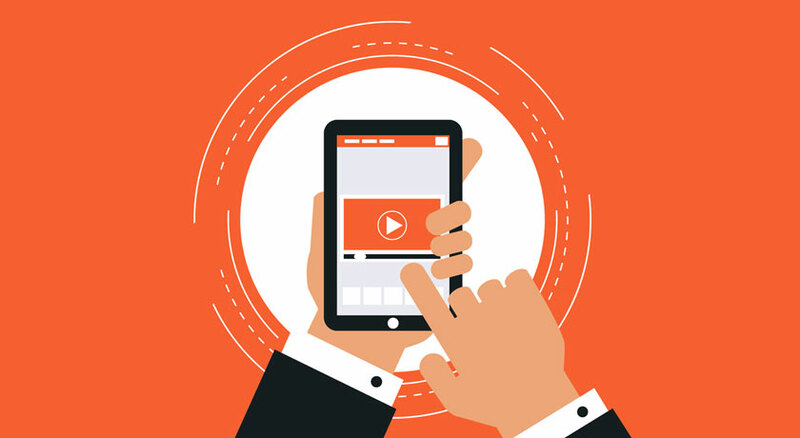 As a result, Short Form videos are great to use in higher frequencies, notably at the start of a campaign – whether to introduce users to a new product or even a new brand. Short form videos are just one piece of your video strategy. And how they work and integrate with your long form video content, amongst the rest of your branded content, is crucial. Therefore Short Form video content should be seen as additive, and not as a replacement for long form content. Furthermore, as we hope we’ve shown above: Creativity, cross-channel integration and purpose are still key – no matter the length. Focussing on these, is crucial for any success with Short Form videos – well, any video for that matter. Producing just short form videos without any consideration to the three points we’ve just mentioned, means you’re doomed for failure. And so, if you need any help with those three key areas, well, you know where we are.